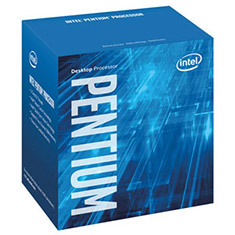 Intel Pentium G4560 3.5GHz Dual Core CPU, LGA1151, 3MB cache, 14nm, 54W Max TDP, Intel HD Graphics 610, BX80677G4560. Retail box including fan, heatsink and thermal paste. Please note a BIOS update may be required for compatibility with Z170/H170/B150 chipset boards for 7th Gen processors.